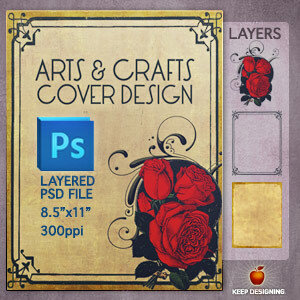 Here’s another free layered Photoshop file. 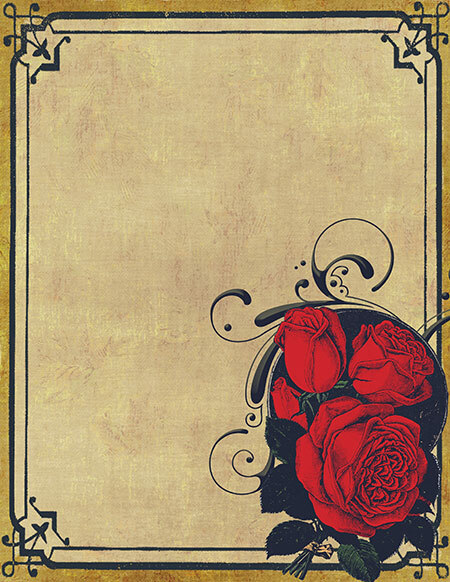 This one features an antique paper texture background, a rose graphic and an old distressed frame, all with Arts & Crafts era styling. Each is a layer in Photoshop so you can arrange the items as you like. Or drag and drop them into another document. I love this design! Can I use it on a flyer? Wow,this design is cool! big thanks for sharing it with us! Oh, how nice! The roses look fabulous like this. It looks like they were always meant to be there. Thank you! hi..!! it lukzz great.!! can i use it on websites? Wow that’s really cool I love it – please continue whatever you’re working on! Inspiring roses.. Thanks for these roses!